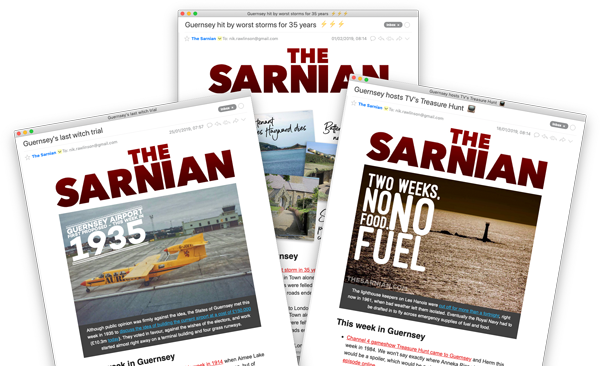 An inter-island flight crashed in Guernsey after its primary fuel tanks ran dry. The Jersey European service had been carrying passengers from Jersey to Guernsey when it came down in a field at 5.42pm on Friday 18 September 1981. Although there was sufficient fuel in the aircraft itself to see it through the whole flight, much of it was in the wrong place. The Islander aircraft, which was also used by Aurigny, draws fuel from the “live” tanks that sit on the tips of the wings. Once these emptied, regardless of how much fuel there was elsewhere in the system, it was only a matter of time before the Britten-Norman aircraft’s engines stopped turning. The starboard engine was the first to fail. It started to stall as the plane approached Herm. The pilot requested a direct approach into Guernsey Airport. This was granted shortly before the engine cut out completely. With only the port engine still running, the plane swung to the left. This may have repositioned some of the fuel as the manoeuvre, which was already unwanted, was amplified when the starboard engine briefly fired up again. Realising he wasn’t going to be able to reach the runway, the pilot looked for anywhere else he could safely put down. He spotted a field and aimed for it. He guided the aircraft down and bounced over a wall. It then crossed another field and a road before coming to a halt in the driveway of a guest house. The pilot sustained serious injuries, particularly to his legs. However, he was able to help his eight passengers escape, none of whom was hurt. The aircraft was damaged beyond the point of repair and written off. 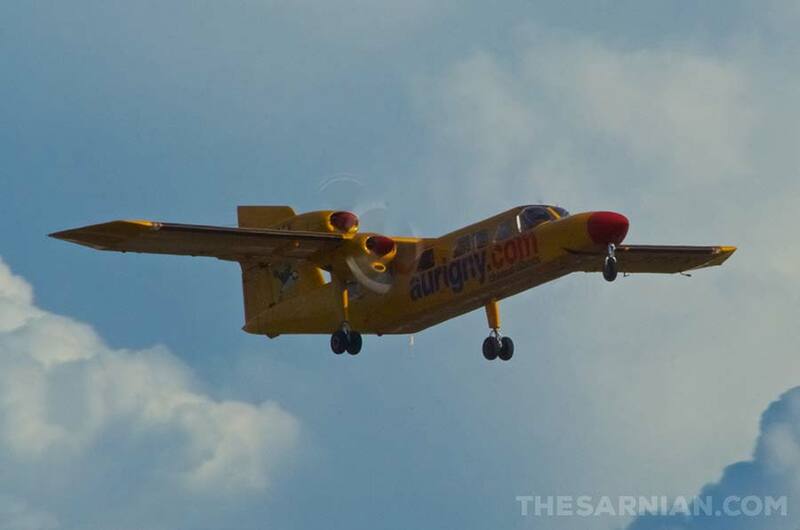 When Auringy was founded it had also used Islander aircraft. In total, manufacturer Britten-Norman built 1280 of the planes. They had a top speed of 272km/h (169mph) and a range of 1400km (870 miles). This made them ideal for island hopping. The first craft were produced in 1965 and they’re still in production today. However, Aurigny founder Derrick Bailey wanted a larger aircraft, capable of carrying more passengers. He had a hand in the design of the Trislander, Britten-Norman’s upgraded Islander aircraft (above). Aurigny eventually became the operator of one of the largest fleets of Trislander aircraft in the world. Where an Islander typically carries up to nine passengers and one pilot, the Trislander could accommodate 18 (of whom either 16 or 17 would be passengers). Produced between 1970 and 1980, a total of 72 Trianders were built. They had a maximum speed of 290km/h (180mph) and a range of 1609km (1000 miles).